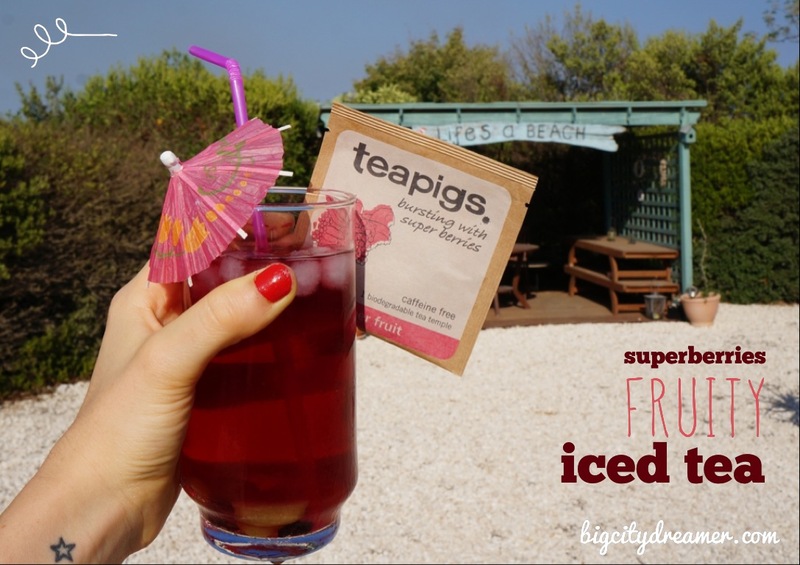 Fresh Heather : TeaPigs Tea-spiration! Think there is only one way to make tea? I'm going to prove you wrong! Recently, I have been loving Teapigs fruit and caffeine free tea, mainly because of it's strong but subtle taste; now that's an oxymoron if there ever was one! 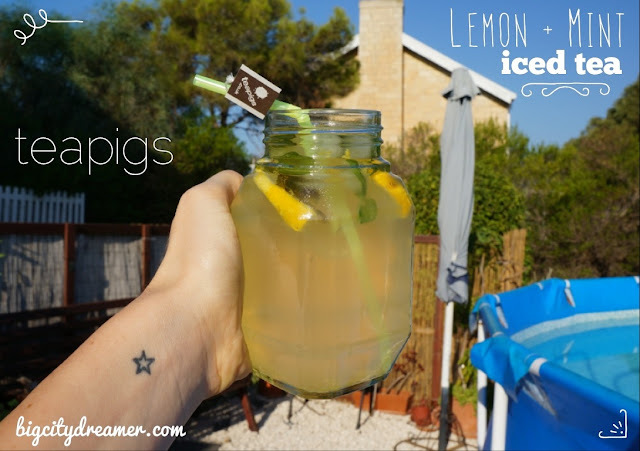 They use whole leaves to really infuse the flavour and it makes them ideal to use in homemade ice tea which can often be bland and tasteless. I thought I would combine all my iced tea (and a hot one for the winter!) pictures and recipes into one post to give you all some tea-spiration! First of all, the night before, make up some lemon and mint infused ice cubes. Pour hot water into an ice cube tray (ensures the ice cubes stay clear!) and add mint, lemon verbena leaves and lemon zest. Freeze for at least 2 hours. This 'recipe' is so simple that I can't even really call it that! 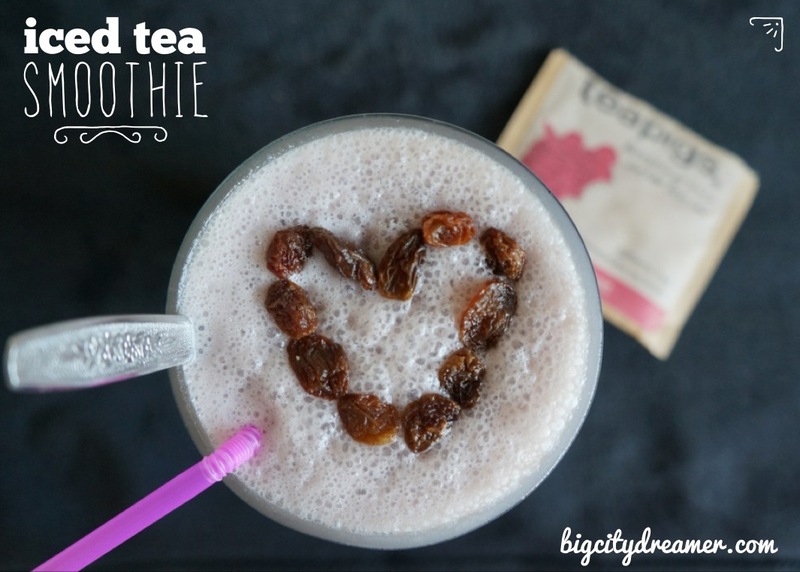 Simply infuse a teapigs Superfruit tea bag in hot water (just covering it) for at least 3 minutes, remove the tea bag and finally fill up the glass with ice cold water, frozen grapes, cranberry raisins and plain ice cubes. The fruit normally gets left at the bottom of the glass and by that time it has collected all the delicious extra-fruity flavour! Served with my homemade banana-ey carrot-ey cake-y bread! How do you like your tea in the morning? Haha ;) What's your favourite flavour of tea? 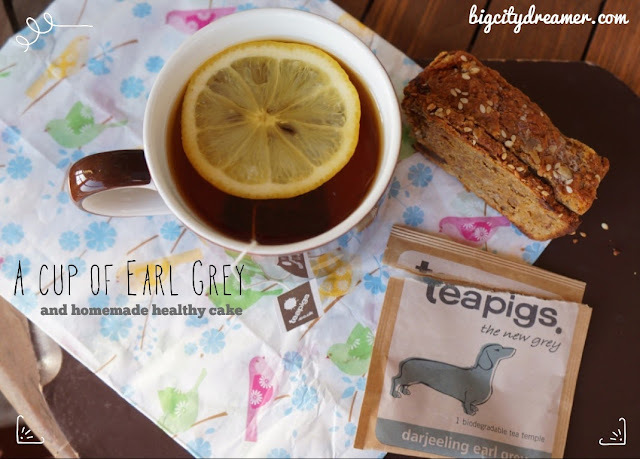 Have you tried Teapigs? Heather this is great! I'm going to have and try it out! I have several visitors and to have a mug for each with personalization for such a inexpensive cost...it will make their visits a bit more special for them I think :) Thanks for the idea! Newest follower...love for you to check out my YT Channel! wonderful information you provide here. Thanks for sharing. Very good information. Lucky me I ran across your site by accident (stumbleupon). rooted android emulator , rooted android emulator for windows 10 I have saved it for later! -اغسلى شعرك بالماء ونظفيه من الدخل جيدا. -ضعى كمية من بلسم شعر الأطفال على شعرك ثم سلكيه جيدا بالمشط بدون شطفه. -أمزجى القرفة مع الماء فى الطبق حتى تصبح ذات ملمس طينى سميك وقوام لين، ولكن دون الإسراف فى وضع الماء. – ارتدى القفازات وخذى كمية من خليط الماء والقرفة وضعيها على الشعر خصلة بخصلة. -Wash your hair with water and clean it from the income well. - Put some amount of children's hair balm on your hair and then wash it well with the comb without rinsing. - Mix the cinnamon with water in the dish until it has a thick clay texture and soft texture, but without excessive water. - Wear gloves and take a mixture of water and cinnamon and put on the hair follicle. – وزعى المزيج داخل كل شعرة بالتساوى باستخدام المشط الضيق، ويفضل البداية من أسفل فروة الرأس مع الصعود تدريجيا نحو مقدمة الرأس حتى يغطى المزيج الرأس بالكامل ويتخلل فيها.– اجمعى شعرك على شكل طاقية او كعكة للوراء. -غطى الشعر بالبلاستيك أو الفويل الحرارى. -اتركى المزيج ما بين 6 إلى 8 ساعات مع إحكام تغطيته. ملحوظة: يتسبب تلوين الشعر طبيعيا باستخدام مزيج القرفة بوخز خفيف فى الرأس لا تقلقى فهذا الشىء طبيعى تماما. إذا أعجبك المحتوى، شاركينا برأيك عبر التعليق وتابعى معنا المزيد من الوصفات الطبيعية الخاصة بالعناية بالبشرة والشعر . - Mix the mixture into each hair evenly using the narrow comb, preferably starting from the bottom of the scalp as gradually rising towards the front of the head to cover the entire head and permeate it. - Collect your hair in the form of a bowl or cake to the back. - Cover hair with plastic or thermal foils. - Mix the mixture for 6 to 8 hours with a tight cover. Note: Hair coloring naturally causes the use of a cinnamon blend with a slight tingling in the head. This is normal. * عدم وضع وسيلة حماية للمقابس الكهربائية غير المستعملة لحماية الأطفال من العبث بها أو نزع القابس من المقبس بعنف. * لمس الأجهزة والمفاتيح الكهربائية والأيدي مبتلة بالماء أو تشغيلها أثناء الوقوف. * عدم فصل التيار الكهربائي أثناء إجراء أعمال الصيانة والإصلاح. * اختيار أجهزة ومعدات كهربائية غير جيدة الصنع . * ترك الأجهزة الكهربائية في وضع تشغيل لمدة طويلة دون انتباه وعدم فصل التيار الكهربائي عند مغادرة المنزل لمدة طويلة أثناء السفر والرحلات الطويلة .